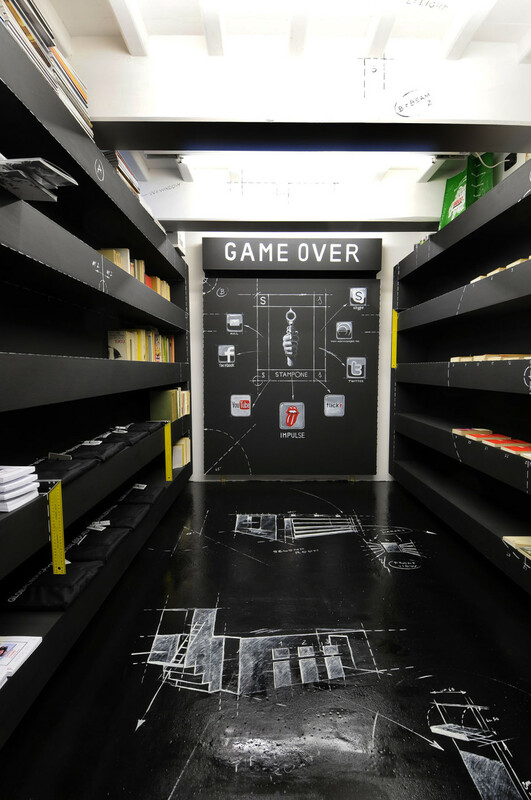 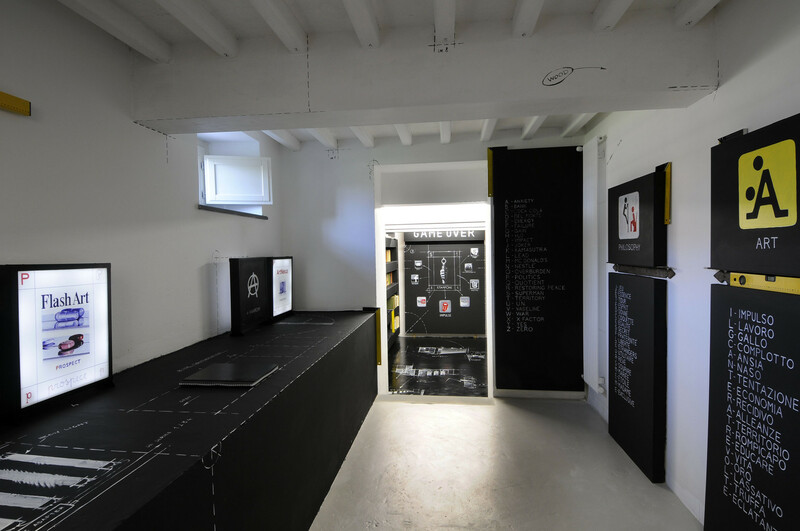 The Site Specific comprises an area with internet, books, topics, tags, slogans and maps where the public can interact with drawings and thoughts. 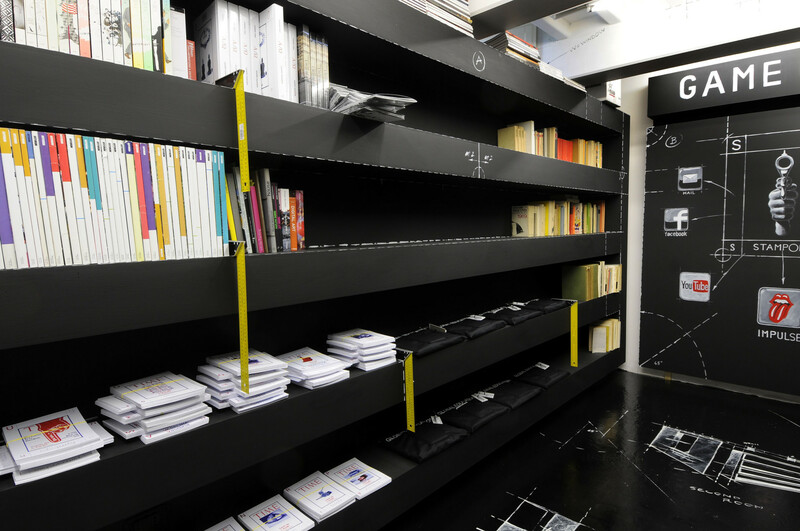 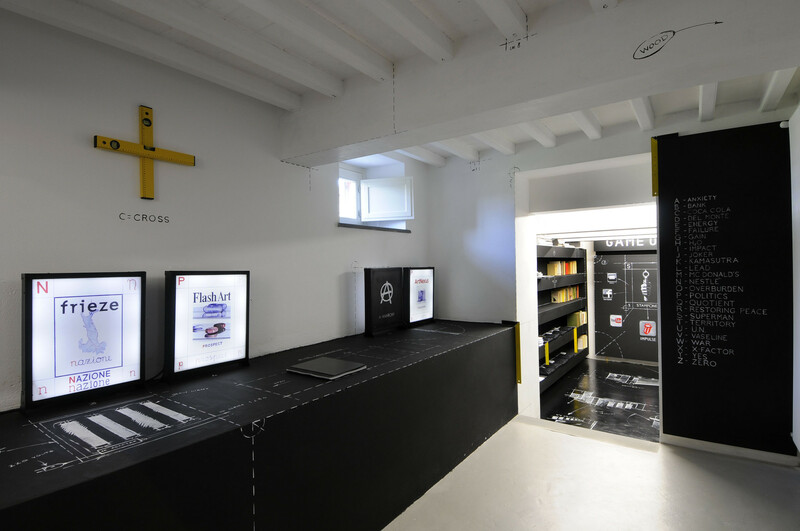 The Library/bookshop of the Malvina Menegaz Foundation and the Library of the Vittorio and Nunzia Gaddi Collection are re-designed by the artist as two “global educational” environments. 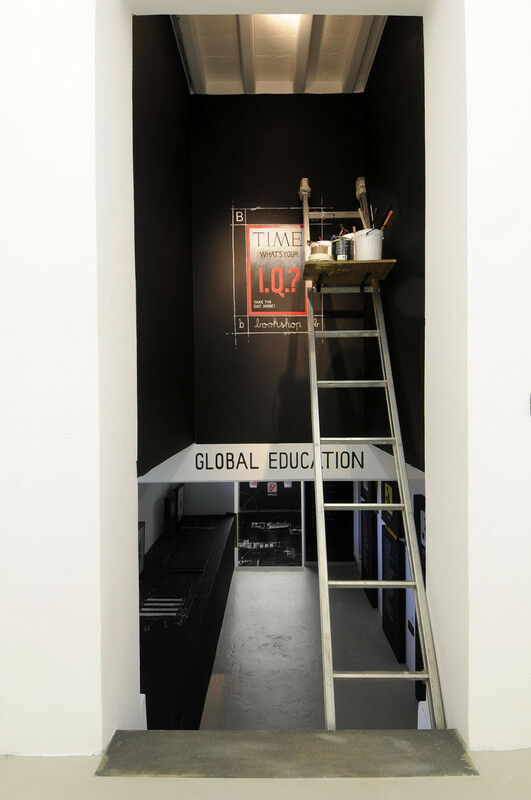 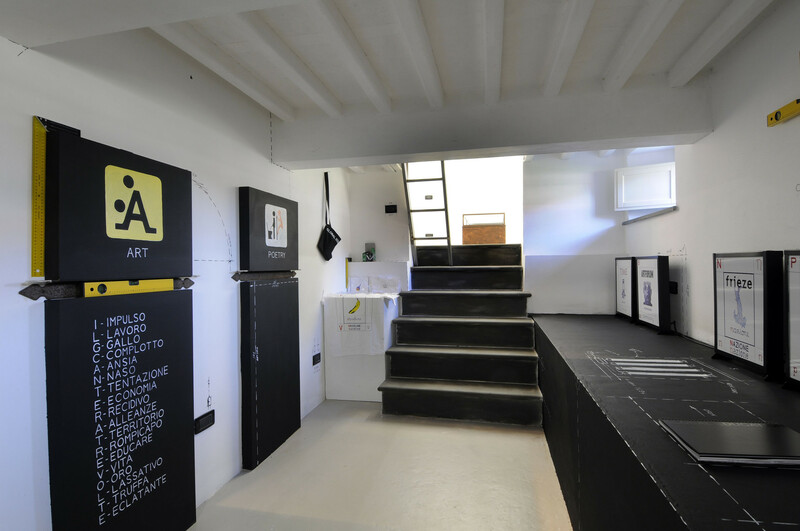 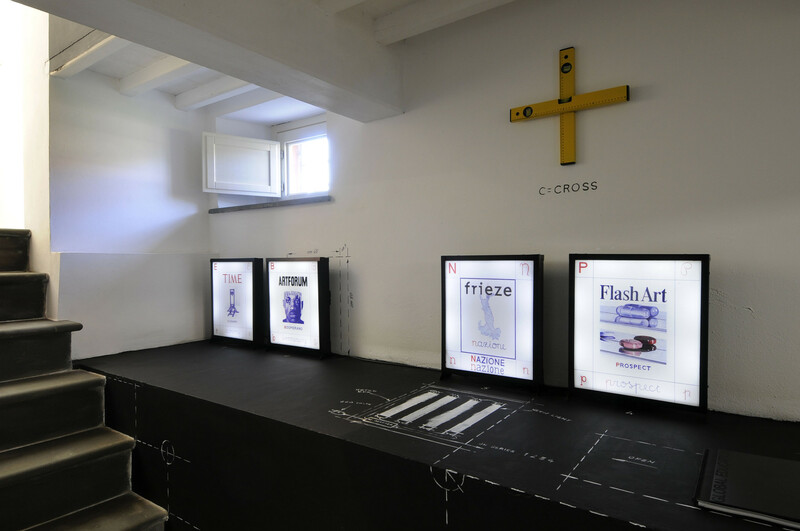 Re-invented letters of a spelling-book and 3D structures drawn on the walls and on the floor intend to make the public reflect on the architecture of the place and the relation with its function. 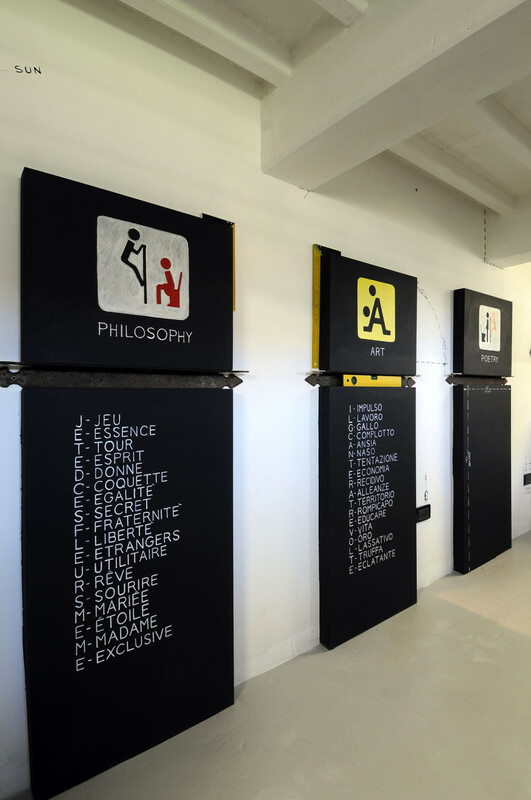 Interactive blackboards invite the visitor to leave a trace of his passage and to develop such “educational” experience in a participatory way.